Maruti, is a household name in India. In fact, in remote parts of the country, the term ‘Maruti’ is synonymous with ‘car’ – much like ‘Xerox’ is to ‘photocopy’. The Maruti 800 was consistently India’s highest selling car for years together. Outselling the competition combined at times. Everyone in the country has been associated with a Maruti. Either they’ve owned it, learnt driving on it, their neighbors had it or broke the windscreen on one while playing cricket. They were everywhere! The Alto was the spiritual successor to the Maruti 800, filling in its rather big shoes ever since September 2000. Carrying the weight of the car that put India on wheels is no mean feat. But the Alto did it ever so gracefully, becoming India’s largest selling car in the process. The Alto has stood through thick and thin for Maruti, contributing consistently to their kitties. The Alto’s successor internationally, dubbed the ‘A-Star’ for the Indian market was introduced and pulled out of the market, while the good ol’ Alto soldiered on. Someone wise at MSIL decided not to pull the plug on the little wonder back then and we can safely conclude that the decision paid off. Powered by a rather lethargic 800cc engine, the Alto was an inexpensive city commuter. The 1.1 Alto was a rare breed. An engine borrowed from the WagonR, it was a pocket-rocket in the literal sense of the word. It was pulled out of the market owing to dismal sales and later replaced by the Alto K10 in 2010 which incidentally again borrowed its engine from the updated WagonR. View offers on Maruti Cars from Maruti dealers in Hyderabad at Autozhop. The Alto K10 is based on the Alto 800s platform. And the similarities are visible, especially when you view the K10’s silhouette. The K10’s silhouette will remind you of it’s 800cc sibling, the doors and the window area are identically styled. What does differentiate the K10 however is the strong character line that runs from headlight to taillight and vanishing into the center of the tail-gate.The new Alto K10 seems taller than the outgoing version and rides on tiny 155 section 13 inch tyres. There are no alloy wheels on offer either – just the good old wheel cap. 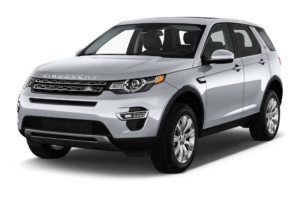 The front sees a large chrome strip running above a tiny grille that grabs all the attention. Flanking the grille on either sides are those large swept back clear lens headlamps. 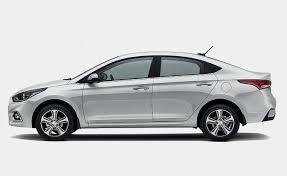 They may remind you of the Verna fluidic at a quick glance, but it does have a slightly flatter base. We love how the bonnet and the grille make one, clean, unified curve – looks very neat. The front bumper also gets a large slatted airdam at the centre and blacked out housing for the tiny circular foglamps. We had the VXi variant, which misses out on certain features like the foglamps, body colored door mirrors and door handles, all of which the VXi (O) variant gets. However, you can always get these features added at the dealership level by paying a minimal premium. Over to the rear, the K10 features a large set of taillamps, a high mount stop lamp and a rather clean tailgate. The only thing that looks slightly odd, is the lock for the boot. More so, because there isn’t a handle to open the boot. You simply unlock the boot using the key or the boot release switch and it pops open. There’s a small recess just above the rear bumper using which you can open the boot. The rear bumper is minimalistic as well, no exhaust jutting out of this one.Overall, the Alto K10 does look like a clean package. The design is slightly on the aggressive side, but it isn’t as in your face as the Hyundai Eon. It has a very neutral stance as well, the only thing taking away from the overall form factor being the weedy tyres. A neutral design for a mass market car – that is design 101; courtesy Maruti. In the last few years Maruti Suzuki have been developing quality interiors for their cars. And the Alto, even though it is the most affordable or dare I use the word, cheapest car in their portfolio, is no stranger this time around to a fabulous interior makeover. The dashboard now comes in a two tone shade. The top half is a dull charcoal black that sits on a bright and cheerful beige base. This combination is spread all over the cabin with the doors also exhibiting this very smart colour scheme. The highlight of this cabin though is the centre console which is superbly finished and shows off a piano black top layer housing a slick and smart looking audio system. It’s not a very intuitive audio system to use but it looks hot! Below that audio panel is a simple, neat, clean and devoid of any gimmickry air con control panel. Rotary knobs that look good and work smoothly, period. The steering wheel in the new Alto feels very familiar when you place your palms on the wheel though the three spoke design is new since it has to house the airbag module. The only grouse I had with this cabin is that I wish the backrest for the rear passengers was even taller. With my 5’9″ frame perched in that seat, my head had no support from the headrest which barely reached the base of my spine. That’s neither safe nor comfortable. Even my knees weren’t too comfortable in the rear and taller people will have to sit quite upright to fit in.And finally the boot, the 177 litre cavity isn’t amazing but a low loading lip and flat floor has its practical uses. And more than ever, a car of this size and stature that can still offer a full size spare wheel is just a marvellous value addition in this day and age when even luxury car manufacturers with sedans of enormous proportions fail to do so. Now coming to the all important part, driving and the highlight in the new Maruti Suzuki Alto is its AMT box. There was a time when customers would have scoffed at the idea of an automatic in this segment. But Maruti have firmly driven home the point that something like the AMT does not deprive the car of the same efficiency as a manual transmission. I really wont dwell much on the manual transmission since the gearbox hasn’t changed and neither has the engine. The new Maruti Suzuki Alto has the same 1.0-litre K10 petrol and it’s more efficient but not more powerful or torquier than before. It’s a remarkably zippy car and one of the few naturally aspirated engines that you really enjoy whipping. Its short quick bursts of power (68PS) peak out at 6,000rpm and almost instantly you hit the rev limit at 6,500rpm. People who have driven this car before will recognise the feeling it stirs, to me it was fun on a completely different level. Being able to snap away from traffic lights quicker than most cars and then watching the expression on their drivers’ faces as a this small car darts away with unbelievable pace is a delight. What has changed in this drivetrain are certain elements that work along with the engine to get that best in class fuel efficiency of 24.07kmpl as claimed by Maruti Suzuki, a near 15 per cent improvement over the outgoing Alto. To create this result the engine mapping within the ECU has been improved with better algorithms working faster and with more precision to measure out the air fuel intake in every driving condition. Even the new drive by wire throttle body helps get even more well measured and precise information to the ECU to take those fueling decisions. Complementing this effort is a lower kerb weight, 15 kilos have been shaved off compared to the older Alto across all variants. These weight savings have several implications not just in engine performance and efficiency but also in ride and handling. To come back to the AMT transmission, like in the Celerio this is a unit sourced from Magnetti Marelli. A simple device that takes away the need for a clutch, the AMT transmission offers the choice of an automatic driving mode or a manual mode. In the automatic mode there is just a drive, neutral and reverse selector. In manual mode you can choose the gear you want to be in though while braking or slowing down the system will automatically downshift to the best gear. Upshifting needs manual intervention or you will simply see the tachometer needle bouncing off the redline. The shift quality isn’t superb or immediate but its comfortable enough without being intrusive. In urban crawl speeds the shift quality is seamless and there really isn’t much to complain about. As speeds increase and you need quicker movement between the gears the shifts are perceptible and with a fraction of a seconds lag. Then it does not feel as seamless and its best to shift into manual mode. One flipside to the AMT is that in fifth gear as your speeds get to three digits the transmission starts jumping between fourth and fifth gears to try and keep the car in the power band and this causes the Alto which sits on skinny 155/55 R13 tyres to get skittish. Not an entirely pleasant situation to be in and we highly recommend you don’t make a foolhardy attempt to reach its top speeds.Check for EMI Calculator for Maruti Suzuki Alto K10 at Fincarz. On the features side, you do get air-conditioning across all variants as standard with power windows coming in only on the higher VXi variant. This variant also gets airbags but there is no ABS anywhere, not even as an option. Whats also strange is that the Alto is one of the very few cars to still offer just one wing mirror on the base LX and the LXi variant as standard which is simply poor manufacturer attitude towards safety. Maruti Suzuki Alto K10 On-Road Price in Chennai ranges from 3,87,823 to 4,94,912 for variants Alto K10 LX and Alto K10 LXI CNG Optional respectively. Maruti Suzuki Alto K10 is available in 8 variants and 6 colours. 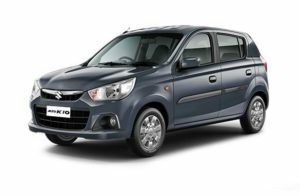 Below are details of Maruti Suzuki Alto K10 variants price in Chennai. 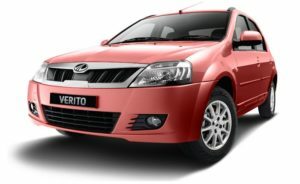 Check for Alto K10 price in Chennai at Carzprice. Overall, the Maruti Suzuki Alto continues to make a strong statement to those looking at buying their first car or even second smaller car for urban use. It may not be the perfect car but it does have the perfect set of ingredients. Practicality, manoeuvrability, and now great efficiency, convenience thanks to the AMT box and a modern quality with the exterior and interior styling, making it a very tantalising hatchback. Expected to be launched this month, I see Maruti pricing this very close to the outgoing Alto, probably even cheaper, just as an introductory strategy to pique customer interest. Maruti is firmly on its way to accumulating their next 25 lakh Alto customers and it will be helped, in no small way, with this new AMT Alto. Automatics it seems have finally gotten to centre stage! The new Honda Jazz 2018 was not showcased at the 2018 Auto Expo. As part of their multiple car onslaught in India, Honda will be upgrading its popular hatchback.Another reason for not displaying it at the Auto Expo was that this is a facelift. There will be no change to its design or mechanicals. It will get some tweaks in styling and addition of a few features, to make it better value. The new Jazz will get upgrades and one of them is the headlamp. There will projector lamps and even daytime running LEDs also. There shall be some features on offer too, like sunroof, new touchscreen system and even HDMI input. The 1.2-litre petrol engine will continue on the Jazz and the other option is the 1.5-litre diesel. Petrol will be offered with a five-speed manual and CVT, while the diesel shall have 6-speed manual on offer. What all will the new Honda Jazz 2018 pack in? 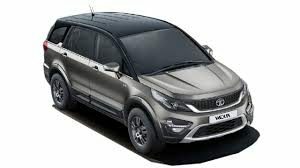 Read further to know more.The new-gen hatchback came in a year after it was launched in other markets, so the facelift will also be here for at least three years. 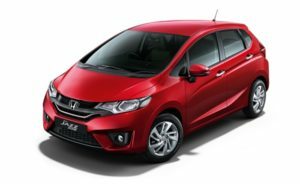 The current Jazz was launched in mid 2015 and the facelift is expected to come after 3 years.Test drive for Honda Jazz . But more than anything else, you’ll like the Jazz’s design for more practical reasons. Such as how its tailgate extends low on the bumper or how its doors open nice and wide. And the first time you open those doors, the sheer space in the cabin will shock you. The Jazz is easily the most spacious car in its class with ample head, leg and shoulder room for five occupants. Passengers in the rear, however, will find the seat short on thigh support. The upward sloping floor (on account of the fuel tank being positioned under the front seats) may not be to everyone’s liking either. A 1.2-litre petrol engine will continue to be the major seller for the Jazz. This mill churns about 88bhp of power and 115Nm of maximum torque. It is available with a five-speed manual transmission and a CVT as well. The engine is one of the most quietest ones around and whats so special is how it behaves. The engine doesn’t have the punch it more of a comfortable cruiser. One needs to downshift to overtake, especially on the highway.Then there is the 1.5-litre diesel engine. This one is powerful and it has more than sufficient torque. There is more than sufficient torque available across the bandwidth and driving this engine is ease. Overtaking is never a challenge with the Jazz diesel. Just that the engine is noisy, which effects the refinement of the cabin. This engine has a six-speed manual transmission. Those looking for performance will be better off going for the 1.2 i-VTEC petrol engine with the manual gearbox – the sole engine-gearbox option the last Jazz could be had with. The engine produces 89bhp and 11.2kgm, both figures that are par for the course. Bottom-end responses aren’t the liveliest here but the engine does get into the flow of things by 2500rpm. Mid-range performance is good, but if you do choose to press on, you’ll love the steady and strong build of power all the way to the 6800rpm limiter. Stretching the engine also has it, quite literally, make all the right noises. The slick-shifting five-speed manual gearbox and well-weighted clutch only add to the fun. But for those who’d like to do away with the bother of modulating the clutch altogether, Honda will also offer the petrol engine mated to a continuously variable transmission (CVT). We drove the petrol automatic Jazz and found it quite suited to average city driving. The gearbox responds well enough to mild changes in throttle and works to keep the engine running at its quietest and efficient best. But mash down on the throttle and the ‘rubber band effect’ CVT gearboxes are known for comes to the fore – the rise in revs isn’t matched by an equally swift rise in speed. The engine sounds strained at this point and more often than not, you’ll back off and let the engine get back to its comfort zone in the mid-range. No major change here as well. The petrol engine returns about 12-13km/l in the city and about 15km/l on the highway. On the other hand, the petrol CVT should have an efficiency of about 11km/l in the city and 14km/l on the highway. The diesel should have a mileage of 18km/l in the city and close to 22km/l on the highway. What’s impressive is that there are paddle shifters to let you take greater charge of things. There are seven ‘ratios’ you can shuffle between and the good thing is the system is quick to respond to tugs at the paddles. In manual mode, you can rev the engine to about 6000rpm before the electronics will upshift. Still, this engine-gearbox combo isn’t what you’d call sporty. That’s something to say about the dynamics too. The steering offers good enough feel but handling on the whole is best described as safe and predictable. Typical buyers will like the Jazz more for how easy it is to twirl the steering and the fairly tight turning circle. Ride quality is also good for this class of car. The Jazz goes over bumps and potholes well but does get caught out by sharper edges every once in a while. There is a hint of firmness to the suspension but the positive is high speed stability is good. Braking power on the hatchback is derived from front disc and rear drum brakes. As for safety, features such as dual front airbags, ABS with EBD, rear parking sensor, speed-sensing auto door lock and day/night inside rear view mirror are standard across line-up. In line with upcoming safety norms, the Jazz gets dual airbags, ABS and reverse parking sensors as standard. Other secondary safety features include a seatbelt reminder, front fog lamps, an immobilizer and a rear defogger. Honda Jazz On-Road Price in Pune ranges from 6,80,246 to 10,78,088 for variants Jazz V MT Petrol and Jazz VX MT Diesel respectively. Honda Jazz is available in 7 variants and 6 colours. Below are details of Honda Jazz variants price in Pune. Check for Jazz price in Pune at Carzprice. Less is good, right? Fiat thinks so, which is why they’ve just launched the Fiat Linea Classic in New Delhi. For those who’ve always wanted to own Linea but weren’t ready to pay Rs 7.12 Lakh , well, Fiat has answered your prayers with the Linea Classic. It seems the Linea was not designed by engineers but by an artist in the serene meadows of Italy. In modern times, where aggression and fierce looking cars are in vogue, the Linea chooses to illustrate relaxed lines.This voluptuous looking sedan is the biggest in its class. Designed in ““Centro Stile Fiat”, the design centre in Turin, the Linea is based on the same platform as Grande Punto. Both the cars have the same design philosophy where the classic styling meets the modern trend. A facelift for the existing Linea is just round the corner. It gets a grand radiator grille with inter linked slats. The large headlights with twin barrel lamps look very elegant. The bonnet does not feature unnecessary crease lines and just flows to the windshield. It also offers rain sensing wipers and dark sensing auto headlights. The T-Jet badging also features on the radiator grille which looks like a typical RS-esque of Skoda. The long stretched look of the Linea Classic makes it look very subtle yet impressive. It also offers a ground clearance of 185mm which is the best for tackling bad roads. It gets chrome under window line as well as chrome lines on the doors too. The ORVMs are very nicely planted on the front doors and are body coloured. These mirrors can be adjusted electrically. It could have done with turn indicators embedded in them but perhaps the Italians thought it would spoil the design. Since this is the T-Jet variant, it gets a boot lid spoiler and chrome exhaust to highlight its sporty nature. The exhaust pipe does not blend well with the overall design as it sticks out in a weird way. But overall, the Linea comes across as a very beautiful car to look at. It is a welcome change over the out-of-the-production-line looking types. The suspension setup is as best as it can be in this segment. Be it broken roads, speed breakers etc nothing feels uncomfortable. The soft spring suspensions can absorb anything. Even at high speeds, the car seems very much planted on the road and does not drift away when thrown on tight corners. Braking of Linea is decent similar to the other variants. If you enjoy driving petrol cars, then the Linea is definitely a car one would enjoy driving. It scores very high on fun factor but then the fuel efficiency is the least compared to other versions. The company claims an ARAI mileage of 15.7 Kmpl whereas we got a realistic 10 kmpl. Fiat Linea Classic On-Road Price in Gurgaon ranges from 7,26,361 to 9,26,793 for variants Linea Classic 1.3L Multijet Plus and Linea Classic 1.3L Multijet Classic respectively. Fiat Linea Classic is available in 3 variants and 5 colours. 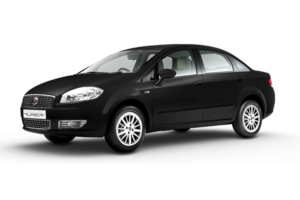 Below are details of Fiat Linea Classic variants price in Gurgaon. Check for Linea Classic price in Gurgaon at Carzprice. The main strength of Linea Classic is its high-quality engine and strong build quality and the growing service network which was a major setback earlier. 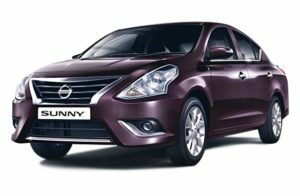 And the competitive price tag has certainly given it a good boost in sales figures as well.Fiat Linea Classic competes with Hyundai Verna, Renault Scala, Nissan Sunny, MarutiSuzukiCiaz, Honda City, Skoda Rapid.